Our Easter chocolate card with logo from C L Promotions will take your customers breath away this Easter or Christmas when they see how thoughtful you have been. Each Easter chocolate card with logo are 1 piece of chocolate in the shape of a bunny attached to a card. Delivery time: 2-3 weeks as standard but please advise if needed sooner. 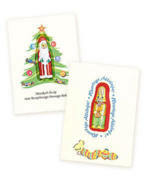 Each of our Easter chocolate card with logo will make the perfect Christmas or Easter promotional gift. They all come printed with your business details and company logo so when you hand them out to your customers they will display your own personal advertisement, then you will always be one step ahead of your competitors, your business name will literally be on the tip of everybodies tongue this Christmas or Easter. Advertise your business details on our Our Easter chocolate card with logo today!!! Other promotional and personalised items besides our Easter chocolate card with logo Click here. To find out more about our Easter chocolate card with logo click here and fill in the contact form and we'll get straight back to you.